I sadly don't have a juicer in London, so when I went back home for a couple of weeks I juiced like there was no tomorrow, with my moms juicer. This was actually one of my favourite juices I made because I felt incredibly fresh and energetic afterwards. 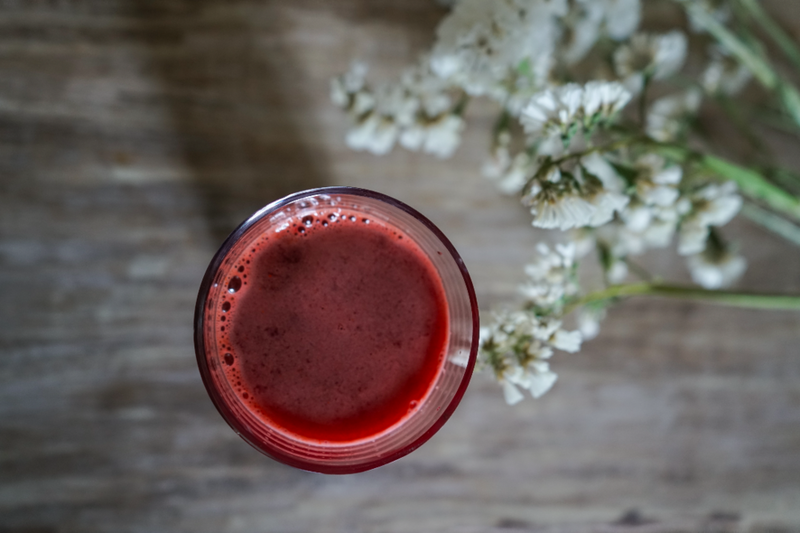 I was reading an article a few months ago on how some athletes regularly drink beet juice before workouts as this can improve their performance significantly! Bring on the beets! Beetroot are a good source of betaine, which helps protect cells, proteins and enzymes from environmental stress. They also help purify your blood and liver, fight inflammation and boost your stamina. Lime boosts your immune system and helps fight infections, it stimulates the digestive system and it builds collagen so helps rejuvenate the skin. Apples are full of vitamin C and B - complex which are key in maintaining red blood cells and nervous system healthy - plus it adds some sweetness to the juice! Carrots are a high source in antioxidants (especially beta-carotene which is good for skin). Turmeric is a well known potent anti-inflammatory.